Losing weight and keeping it off reduces atrial fibrillation burden and improves maintenance of sinus rhythm. That’s one of the most important research findings for afib patients to come out of the recent American College of Cardiology (ACC) conference. The Long-Term Effect of Goal-Directed Weight Management on an Atrial Fibrillation Cohort: A 5-Year Follow-up Study (LEGACY) showed an association between long-term sustained weight loss and a decrease in the frequency and duration of afib, leading to improved maintenance of sinus rhythm. The study was conducted by the Centre for Heart Rhythm Disorders at Australia’s University of Adelaide and Royal Adelaide Hospital. Dr. Rajeev K. Pathak led the research and reported on its conclusions at the recent ACC conference. The LEGACY Study looked at the impact of sustained weight loss and weight fluctuation on atrial fibrillation. Dr. Pathak and his team followed 355 afib patients with a body mass index (BMI) of 27 or higher (BMI of 30 indicates obesity). All were offered access to a physician-led weight management clinic. Over a period of 3–4 years, the researchers monitored weight, afib burden as determined by 7-day Holter monitoring, and afib symptom severity using the AF Symptom Severity score (AFSS). Results showed that afib burden and symptom severity decreased more among patients who lost and kept off at least 10 percent of their initial weight than among those with a weight loss of 3–9 percent or whose weight fluctuated significantly during the study period. 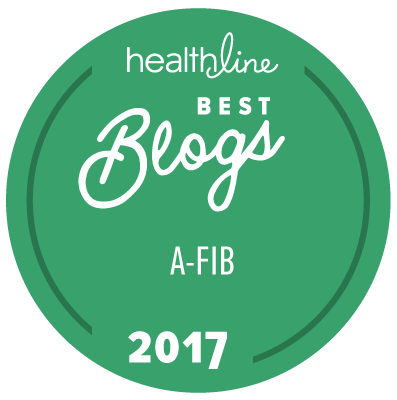 In fact, 46 percent of patients who maintained at least a 10 percent weight loss were free of afib, without drugs or ablation, after 5 years. The greater the weight loss, the better the effect on structural remodeling, as indicated by reduction in the size of the left atrium, and on inflammation, as measured by high-sensitivity C-Reactive Protein (hs-CRP). For those with a 3 percent or less weight loss, the left atrial size increased as did the hs-CRP, indicating increased inflammation and more structural remodeling. A full 85 percent of patients who were successful in losing at least 10 percent of their initial weight attended the weight-loss clinic offered as part of the study, whereas the majority of those with only a 3 percent or less weight loss did not. While the LEGACY Study shows only an association between weight loss and reduced afib burden, Dr. Pathak said that a randomized clinical trial is necessary to prove that weight loss causes a decrease in afib symptoms. That trial is in the works, he said.